When it comes to dog training, what we are attempting to teach our dogs seems easy and sensible to us. However, to dogs, it is not so straightforward and it can seem strange to them. This is why we use treats as away of encouraging good behaviors. Treats are a unique motivation for dogs which is why they are usually effective in training. Below are a few ideas for how to train your dog using treats. It is vital to communicate clearly and reliably with your dog, so you have to recognize how dogs learn. Dogs live totally in the present moment. Unlike people, they are not able to make the connections between experiences which are separated by time. If you want your dog to make the connections between their behaviour and the direct consequences of that behavior, then the consequences that they experience need to be instant. They learn through the direct consequences of their current behaviors. These consequences control how your dog will behave in the future. Just like us, they work hard to get nice things and try their best to avoid bad things. When treats are used your dog will go on to repeat the behavior that got them that treat more often. In contrast, if a behavior results in a disagreeable consequence, they will do that behavior far less often. The most vital part of training your dog is teaching them that it works out best when they do things you like because they get rewarded. In training, you are supporting whatever behavior goes before the treat. Be mindful not to unintentionally reward behaviors that you are not looking for. It is important to wait until your dog is in the right frame of mind to start learning. Your dog needs to be calm and often it is best that they do not notice that training is even going on. Do things like making your dog sit down and wait before you put their food down. Have your dog stop and wait calmly before going outside by only letting them go out after they have waited calmly. Your treats should only be given after your dog has accomplished an action successfully. Be consistent in that every positive behavior needs a positive treat. But keep in mind, if the reward is given before your dog has finished the desired behavior, then they will have no reason to do what you want them to. Numerous people make the blunder of attempting to get their dog to achieve the complete behavior before giving their dog a treat. This can become frustrating for both owner and dog when this approach fails to work. In its place, you need to reward step by step the progress your pet makes towards the final goal. Frequently in the beginning stages of dog training, much progress occurs accidentally so stick with it and you will get there together. As soon as your dog is regularly doing a behaviour currently, start to change up your dog treat reward system. When your dog is given a treat frequently but not every time a behaviour is completed, they will remain doing the behavior since they will never know when the treat is coming again. When you begin training it is very easy to use too many treats. But it is so important to make sure your dog stays at a healthy weight by using small pieces and not overfeeding your dog. It is really easy to reward your dog’s good behavior with small treats if you concentrate on teaching your dog one skill at a time. Dogs are able to learn an impressive range of skills and tricks but you also want them to remain fit and healthy at the same time. Long walks, plenty of exercise and a small amount of treats all help you to train your dog more effectively. Also, consider that what your dog thinks of as rewarding may change at any given time. If your dog has just eaten a huge meal, a treat based reward system might not be as successful as a scratch behind their ear. When your dog has not eaten for a while, your dog will doubtless work more eagerly for small tasty treats. The situation you will want to side-step is when your dog will only perform a behaviour for a treat. If your dog will only follow a command when he thinks that there is a treat at the end of it you have a problem. 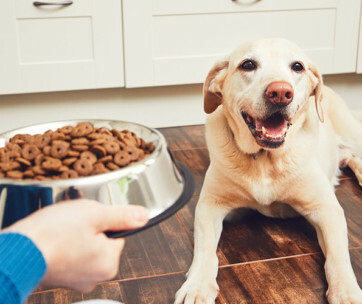 Dog treats are great for the initial training to get your dog’s focus, but in the end, you ought to be relying on the treats them less and less. In its place, by giving your affection instead of treats you will build the bond with your dog. Food obviously is not the only technique to reward positive behaviors. Rewards can be whatever your dog loves, such as warmth, toys, or going for a walk. Always use praise along with your dogs treat rewards. Dogs are obviously very social and love affection. 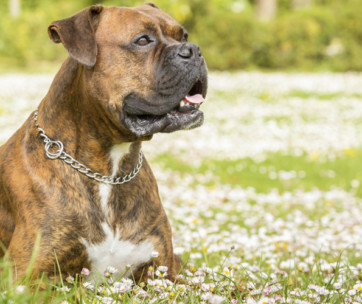 By using lots of kind words and praise, these are also great rewards for your dog as well. Combined with a dog food treat, affection is a great tool that will benefit you in weaning your dog away from constantly needing to have a treat. If you are having difficulty in getting your dog to give their full attention to the treat, it might be because there are more interesting things going on around them. For dog training to be successful, you will need to find a quiet place which will allow your dog’s attention to be on you. 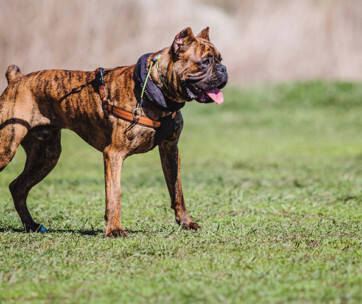 At first, any dog training will seem overwhelming for both you and your dog, which is why it is a good idea to find the right space in which to train your dog. In reality, training your dog with treats is a really big project. By doing it in a quiet space, you will find the job to be far less problematic. Be patient when trying to train your dog as it will take some time and effort. However, it can be loads of fun for you both and hard work does pay off. With persistence and determination, you and your dog can achieve great things. 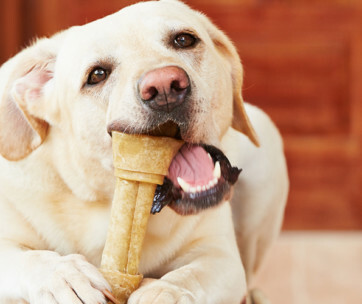 A common problem with treat based training is your dog’s palate. It can sometimes be the case that the treat you are giving them is not enjoyable enough to be stimulating and motivate any of the behaviors that you want. 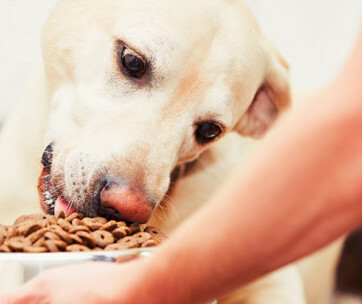 The best dog treats usually have plenty of healthy protein. Treats must be free of needless additives like sodium, artificial colours and flavors and sugar. 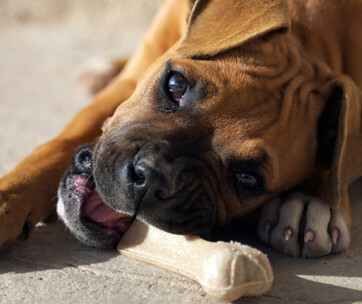 To discover the best dog treats to use, you can ask your vet or dog trainer. Dogs have different tastes like us so try an assortment of flavors and textures to find the most effective healthy treat for your dog. Try out a variety of diverse healthy dog treats until you find one that your dog will love. Stella & Chewy’s offer a healthy freeze-dried treat for dogs, which is like feeding fresh cuts of meat to your dog without giving them lots of calories. It’s less processed than dry dog treats like biscuits usually seem to be, so cuts out unnecessary additives. Zuke’s treats are another option for when you are out and about as they are durable enough to take with you during long walks. They have a consistent shape and size allowing you to use them quickly as a treat. They are also semi-moist to so will not leave a mess in your pocket. It is also possible to combine giving dog treats with the sound of a clicker. Dog’s will associate the sound of a clicker with getting a reward, and ultimately it will take over instead of needing a food treat. Just be careful of trying to go too fast as it does take time and patience. A click is often more useful than your voice because your mood often can negatively influence how you sound to your dog which can be inconsistent for them. A clicker will provide a speedy, clear and reliable message for your dog. You can purchase clickers online and in the majority of pet stores and they only cost a few dollars. Previous to starting to use a clicker in training, double check to ensure that your dog is not sensitive to sound as sometimes dogs will be alarmed by the unaccustomed sound of a clicker. Also, ensure you are fully stocked up on just the right sort of food treats for your dog as this is the vital ingredient. Learning how to train your dog with treats will improve your life and your dog’s life, enhance the tie between you, and guarantee your dogs safety. Training with treats can be lots of fun. Most dogs are typically enthusiastic to learn new skills, and the crucial way to achieve success is to keep trying.